Just as the green or blue (depending on which side of the city you’re from) tinted glasses of nostalgia began to focus on that most famous of Glasgow derbies from yesteryear, out came the morons in full charge to besmirch and pillage an Old Firm U17’s Cup Final. What must the 22 boys on the park, during the biggest game of their lives have thought when they looked around them to see nothing caveman behaviour from significant sections of the crowd in what should have been an enjoyable fixture for all? Vile sectarian songs, violence, missiles being launched, and stadium defacement all around, despicable behaviour, of that there is no question. Both sets of fans and both clubs must take a hard line on this, and only a fool would discount the part that alcohol played in this debacle. However, that’s no reason to give up the fight to restore the unremarkable and elsewhere mainstream concept of selling alcohol at football matches in this country. I understand their logic, but it is flawed in so many ways. The timing of the crowd trouble couldn’t have been any worse. Just as Celtic Chief Executive, Peter Lawell, comes out and publically backs the move to reintroduce alcohol to football, a night of booze-fuelled misbehaviour unfolds at Fir Hill. But aren’t we forgetting several things? First up: The idiots who cause problems at football on this scale will drink to excess regardless of any regulations we put in place (like the current ban on alcohol in the grounds, which many of them flaunt unashamedly) and it’s the responsibility of the authorities to weed them out and banish them from our game. All the anti-sectarianism and anti-bigotry campaigns in our country have one thing in common. They seek to identify and punish the mindless few; who spoil the beautiful game for the straight-laced, fanatical masses. Why should our approach to alcohol be any different? Alcohol can be enjoyed at football games around the world, largely without issue, so are we really the worst behaved fans in the world? Or do we lack the common sense to see things clearly and simply eradicate the troublesome fans? I’m positive it’s the latter. Not only can you drink alcohol at most other football venues around the world; but you can drink alcohol at almost every other sport or mass public gathering in this country. Golf, horse racing, hockey, basketball, concerts, tennis, music festivals, theatre performances, you name it. Why should football in this country be any different? Sure there’s a problem, but it’s a problem that’s there to be tackled, for the good of the image of the Old-Firm globally, and for the good of the game in this country as a whole. The current setup resembles that of a nanny-state. Scotland is a prosperous country that has historically lead the way on the international front in many ways, so it’s about time we caught up in terms of the infrastructure of our football. I also find the logistics of an alcohol ban at football, in terms of how it is currently, to be at best contradictory, and at worst, absolutely baffling. 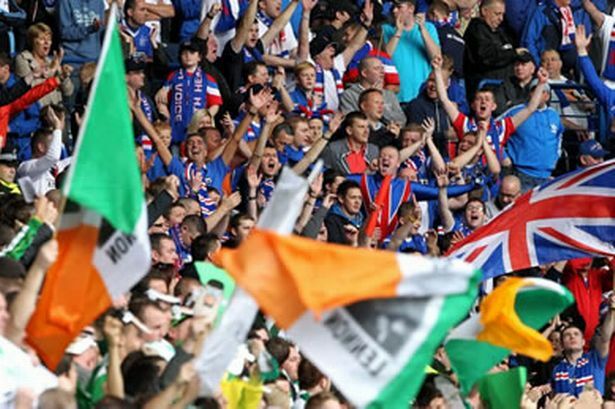 If we’re so opposed to alcohol at football matches in Scotland, then why is it that an ordinary punter can stick on a shirt and tie, buy an overpriced hospitality ticket at both Parkhead or Ibrox, and consume alcohol to their heart’s content for hours on end before kick-off? There are also an abundance of pubs in and around the grounds of Scotland’s big two, plying fans with as much alcohol as they see fit before matches. Fans would rather be paying this money to their beloved clubs, so why don’t we let them? If we take the English Premiership’s alcohol policy for example: fans in attendance can purchase just two beers/ciders at a time, and have a very limited time to do so. The average adult fan would have time for a quick beer before the game, and one at half-time (queues permitting of course). Hardly binge drinking now is it? Who knows the effect it may have on fan behaviour with regard to how they’ll plan their day. The optimist is even tempted to think that some of the heavier pre-match drinkers will forgo their hurried pre-kick off binge in favour of a cool pint at their leisure in the ground. At a time when clubs in our country, both big and small, are counting every penny, the powers that be remain completely ignorant to this potentially huge revenue stream. That extra £10 spent on the day by a few thousand fans at every ground would make a world of different, particularly to those clubs dangling near the SPL drop-zone. The current setup of no alcohol in football is an admission of failure for Scottish Football. It’s a white flag to the troublesome few, trading off the demands of the masses and the financial benefits to the clubs, for fear of how a few might behave. Our game in this country is wallowing in the financial and social mires, yet we punish and disadvantage the many, for the sins of the few. 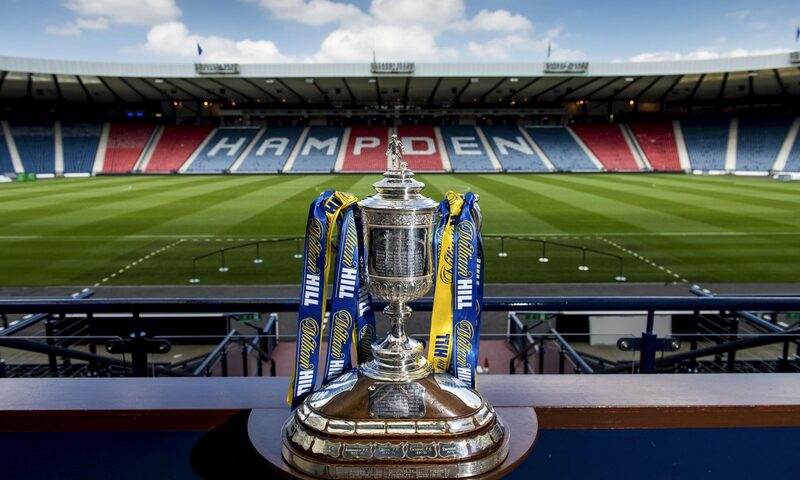 The simple fact of the matter is that football fans, Old Firm or otherwise that cause the type of problems we endured in this week’s U17 cup final, should be dealt with harshly, and ejected from Scottish Football forever. The more welcoming we make Scottish Football for the families and civil minded individuals of this country, the more we’ll see a positive result in attendances, finances, and overall product. The time is now to take strong action against the bigots and morons ruining our game. Either we banish the idiots, or the good, fair-minded football fans will continue to vote with their feet and take a walk from our game for good.